The Sun also rises on Saturn's moon Dione, seen in this image from Cassini. 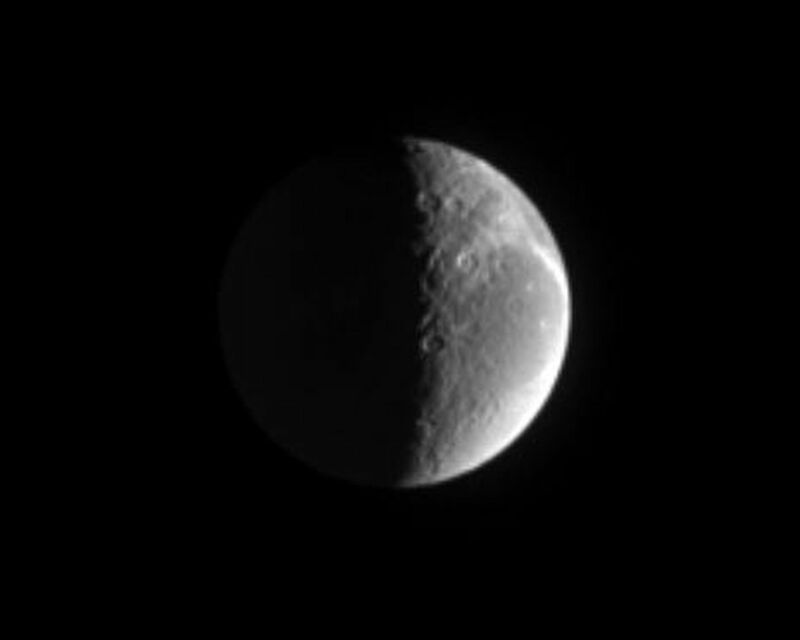 Wispy fractured terrain lies along the limb. Some details of the moon's topography can be noted along the terminator. Dione is 1,118 kilometers (695 miles) across. This image is centered on territory at 310 degrees west longitude. 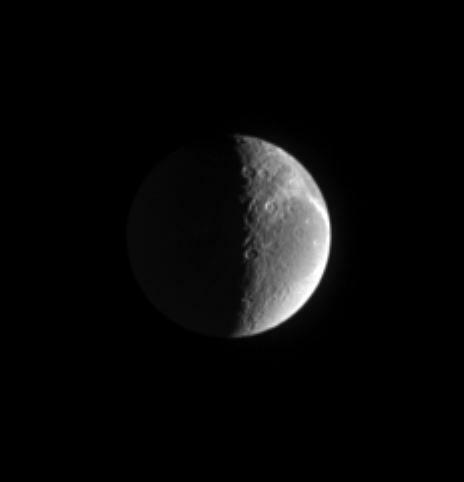 The sunlit region in this view is on the trailing hemisphere on Dione. North is up and tilted 23 degrees to the left. The image was taken with the Cassini spacecraft narrow-angle camera on March 12, 2005, through spectral filters sensitive to wavelengths of polarized green light. The view was acquired at a distance of approximately 1.8 million kilometers (1.1 million miles) from Dione and at a Sun-Dione-spacecraft, or phase, angle of 100 degrees. 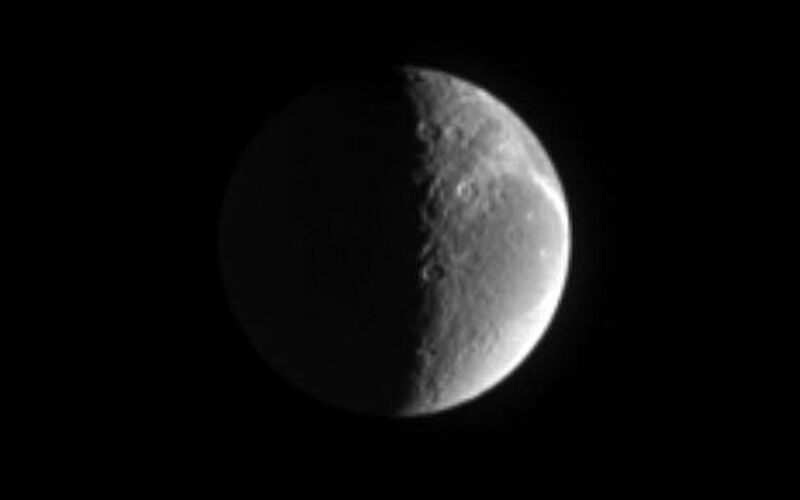 Resolution in the original image was 10 kilometers (7 miles) per pixel. The image has been contrast-enhanced and magnified by a factor of two to aid visibility.